Transportive Technology, an immersive experiences production company, is pleased to announce the completion of principal photography on its next immersive 360 ASMR video “Out of the Box” written by Director Keram Malicki-Sanchez and ASMR expert and YouTube sensation Olivia Kissper. With assistance from Clever Fox Media and LittlStar, the 10 minute relaxation experience uses creative methods to push the medium into new territory. 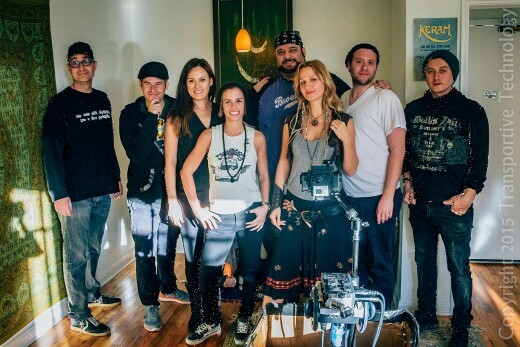 The short was filmed with a Freedom360 rig using 6 Gopro Hero 4 Black cameras and a binaural microphone setup in Hollywood, California in late December 2015. Post production will by handled by Malicki-Sanchez. also Matt Collado at LittlStar, Joe and Dekker at Clever Fox.